We manufacture the brightest, most flexible, and most crack-resistant plastic optical fiber available on the global market. American made. All of our research, development, manufacturing, and shipping operations take place in Gainesville, Florida, USA. 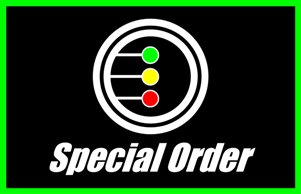 Our disciplined and comprehensive manufacturing and inspection processes ensure that we ship consistent products to our customers. We work with our customers to provide unique shapes, colors, and materials for nearly any application. Nanoptics has long-standing relationships with top universities, federal agencies, and private companies to develop new technologies and products. We aim to create lasting, mutually beneficial relationships with our customers. Our research teams are constantly developing new ideas and improving our current products. Our experienced research and development team can help you choose and develop the right materials for your project. 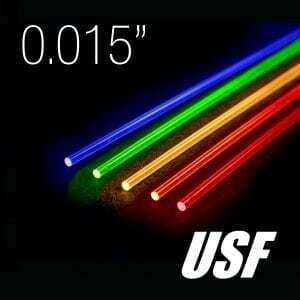 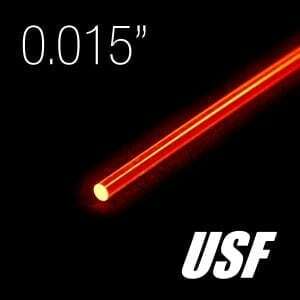 Nanoptics, Inc. is a manufacturing and research company specializing in plastic optical fibers. Located in Gainesville, Florida, all of our products are proudly made in the USA. Our fibers are used in archery and firearms aiming devices, medical illumination equipment, and advanced specialty applications requiring low-weight, flexible plastic fiber optics. Nanoptics offers a variety of optical fibers including fluorescent fiber, replacement bowsight fiber, clear fiber, and custom fiber. 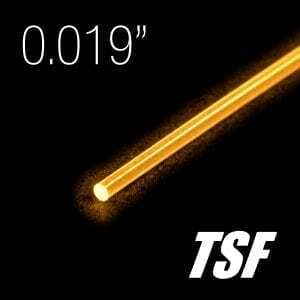 Our fluorescent fibers are the brightest available on the market and our clear fibers have the largest numerical aperture for the greatest light delivery possible. Our production engineers and research scientists can help develop a custom product for your application. Looking for replacement fiber for your bowsight or firearm sight? Visit our retail store for a wide range of colors and sizes. Our fibers fit every major brand of archery sight. Replacement fiber is a great way to repair damaged fibers or customize your sight.